(May 2004) One of the pleasures that comes from working in the arts is meeting some exceptionally talented people. There’s a spark that bursts through telling you that great things are to come. And when they do come, having been there to make the discovery is all the sweeter. Every year, the Rhode Island International Film Festival is blessed to not only see the work of some new “voices” in film, but to actually present the work to larger audiences; and in many cases, to meet the artists who come to the festival to see their work screened. RIIFF receives an enormous amount of entries; this year we expect about 1300 entries from all over the world. We also screen a major portion a of the entries; 200 films will be presented in 2004. And significantly, programming will be composed of about 95% of those entries; thus allowing a showcase for student, regional and new artists. While a “regional” festival, RIIFF has become internationally recognized as a launching platform, where the filmmaker can be the proverbial big fish in a small pond. Several years ago, I made the acquaintance of a remarkable filmmaker who was then starting matriculation at NYU in Film Studies. I found her work in a bag of films as part of my nightly assignment of film reviews for the Festival. Our policy requires that each film be seen by three separate reviewers so that we have a balanced perspective of the film/video submitted. It’s a lot of work, candidly, but for a filmmaker who pays a submission fee, it’s something they should expect and demand. I had ten screeners that evening, the most I could fairly handle, and I felt I had been given a revelation. The work was by Eva Saks and she used the language of film as I had not seen before. I watched the piece twice that evening, emailed her that I was amazed, and told her I wanted her in the Festival. Now in all honesty, this is not usual. I called our Program Director, Heather Bryant told her of my discovery, asked her opinion, and I then broke our usual protocol with her blessings. Call it a very rarely used Executive privilege. Since that point, Eva has sent us works in progress and kept me personally in the loop with her accomplishments. 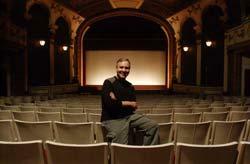 She’s been to our Festival enough over the years that we have put her to work on many occasions; including being an Assistant Director with our Master Class on Film Production: Take 1-2-3: Filmmaking with the Pros in 2003, run by our Creative Director, John Quackenbush. She recently completed work for PBS’ “Sesame Street.” I thought how she got to this place would be inspirational and a good lesson for aspiring filmmakers in our region. GTM: Give us some background on yourself. Tell us about the journey you've taken to be a filmmaker. GTM: You have a law degree from Yale, why the switch to film? EVA SAKS: As you can see by my chequered history, directing and movies were in my blood long before I went to Yale! Yale Law School was great, though. I studied a lot of American History -- that's where the great stories for movies are! Frankly, I think Yale Law School taught me the single most important quality for a film director: how to work for days on end without sleep. GTM: How hard was it to make that transition and has it been worth it for you? EVA SAKS: It was an easy transition since I never really left the Entertainment world - even when I was a lawyer, I was doing Entertainment law. And when I stopped practicing law and went back to directing theater, it was actually kinda easy -- I just called some actors I knew from my casting days and asked them to be in my first show. GTM: What keeps you going? You work long hours and are constantly on the go. EVA SAKS: I'm really a project-specific person: what keeps me going is the story I'm in the middle of telling. For example, with the trilogy of films I just completed (CONFECTION, COLORFORMS, and DATE, which I just finished last week! ), I wanted to express my admiration for the bloody but unbowed spirit of post-9/11 New York City and America. GTM: So what do you to relax in your downtime (and do you have any downtime)? EVA SAKS: Okay, you've caught me. No, I don't! GTM: Where do you find the inspiration for the work you've undertaken? EVA SAKS: Everywhere, lately in kids a lot. And I like reading a lot of local newspapers. GTM: How important has the film festival circuit been for the development of your craft? GTM: Tell us about some of the experiences you've had attending festivals. EVA SAKS: At Sundance, where my film FAMILY VALUES plays, I got sick of going to parties and "networking", so I jumped on the shuttle bus to go back to my hotel. And on the bus, I met the producer of my film COLORFORMS! GTM: You won a student academy award: what did that mean to you and has it helped in your career path? EVA SAKS: The Student Academy Award really does change your life. Doors open; you just have to generate the work to walk through them. That's why I'm now finishing up a feature script - to send something to the agents and producers I met through the Student Academy Award. GTM: You just finished work for SESAME STREET. How did that come about? GTM: What is your ultimate goal as a filmmaker? EVA SAKS: I'd like to finish making all the movies I've got outlined in my computer. Even though that would require that I live to be 100. But my Uncle Harry lived to be 104, so it could happen! Also, as a personal goal, I'd like to continue to work in different genres - narrative, documentary, drama, comedy, action. I don't like getting typecast! GTM: Has it been tough for you as a woman making an impact what has been traditionally a male dominated industry? Or does the glass ceiling no longer exist? (or now has cracks). EVA SAKS: I don't know. I seem to be doing okay. You can get FAMILY VALUES through NetFlix, and CONFECTION and COLORFORMS through Film Movement. Just Google the companies. GTM: Many students come in with video backgrounds to film schools today. What was the approach at NYU? What did you learn from that process and is their one format you prefer over another--and why? GTM: It seems no matter what the topic of the film you undertake, you get typecast--for the moment -- as having an agenda. Example: FAMILY VALUES had you pegged as a lesbian. With CONFECTION, you're now a family film director. Why do think this has been and how have you reacted to these stereotypes. EVA SAKS: These stereotypes make me laugh. When FAMILY VALUES came out, everyone thought I was gay. When CONFECTION came out, everyone assumed I had children. Inasmuch as I'm a straight girl with no kids, I can only laugh and throw up my hands. (In fact, I met my boyfriend through making FAMILY VALES -- he's an NYPD lieutenant -- and so I always like to say, "I met my boyfriend through my lesbian documentary.") Actually, it saddens me that people assume that you can only empathize with people who are just like you! Are most people only interested in people just like them? I don't think so....By the way, my short documentary A PIZZA MAN is about a pizza maker from El Salvador, and it was in the NY Latino Film Festival, so I went through a period when everyone thought I was Latina...Telemundo kept calling me for an interview. And my new film DATE features an African-American heroine, so it's clear what's next for me. Call me an American! GTM: Speaking of values, whom do you credit for giving you such a firm foundation and grounding as an artist and human being? EVA SAKS: My parents. They are the best. My dad used to be a Civil Rights lawyer; now he's a judge. My mom teaches in the inner city. They really believe in me, and in democracy. GTM: Who has inspired you in your life? In the bigger picture, I was inspired by my 5th Grade American History teacher, Earl Clemens. He was very odd and funny-looking, a bit like a giraffe, but no kid EVER made fun of Earl Clemens. Because he was just SO smart and committed to perfection. He was a lovable drill sergeant. He was so rigorous and passionate about this country that he just won us all over. He also had a great phrase he would always use, and that I still use. He told us on the first day of class, "If you don't study every day, and study harder than you've ever studied in your life, you will fail this course. That's not a promise and it's not a threat...IT'S A GUARANTEE." I LOVE that quote. It may come in handy for you, too. "It's not a promise and it's not a threat, it's a guarantee." GTM: You've been all over the country; what is your assessment of New England as a film location? EVA SAKS: New England is a great film location - it's got every kind of landscape and natural beauty, as well as all kinds of great urban/industrial locations, too. You've also got an outstanding sound stage up where you are. And you KNOW I've been wanting to shoot on that Providence ice skating rink for years! I love Providence generally: it's got so many different looks, and I love Federal Hill. GTM: Tell us two things: the best experience you've had at a festival and the worst (I know, loaded question, feel free to change the names to protect the guilty). EVA SAKS: The best experience I've had at a festival was at Clermont-Ferrand, in France, which is known an "the Cannes of Short Films." I could only stay for four days, but the festival gave me "hospitality coupons" for ten days. Now, the key part is that these coupons could be used for fine wines at every restaurant in the city...So every night I would use my extra coupons to buy great bottles of wine for tables of happy filmmaker friends! We had quite the party. And the whole city of Clermont supports the festival - everybody goes. Plus the festival was completely international - I was given lodging in a hotel where my neighbors were French, Egyptian, German, Moroccan, Indian, Thai. It was gloriously fun and I'm still in touch with a lot of the filmmakers. It's a different universe when you are in a country where there is government support for culture, that's for sure! 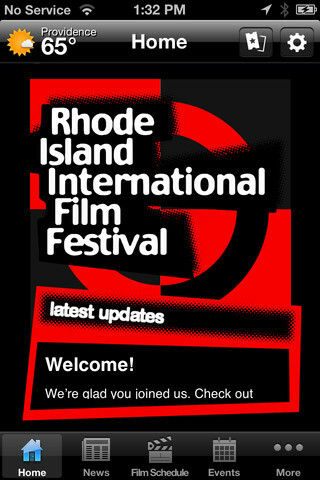 Another great experience, I must say, was your Opening Night party last year [at the Rhode Island International Film Festival]. The state house, which I had never seen, was absolutely ravishingly beautiful - it made me want to start filming a movie there immediately! Providence is quite a photogenic place. That state house in the moonlight was unforgettable. The worst experience was a festival which changed the times of my films, after I'd had all the posters and postcards made. Just awful. They refused to replace them or help in any way. It cost me a fortune and everyone went at the wrong time. Yikes! GTM: What would you tell an aspiring film student or communications major about preparation for this field: illusions, delusions and reality? 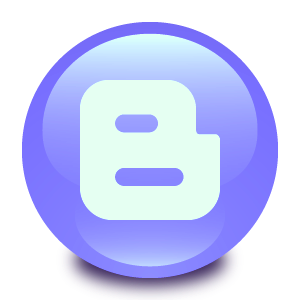 GTM: Finally, any comments you'd like to make. EVA SAKS: Break a leg!